Yogurt is a good source of probiotics. There have been many studies and discussions over the health benefits of probiotics, and these micro-organisms are becoming common supplements in foods and on their own. Specific benefits can vary from person to person, depending on factors such as the type of probiotic being taken, and the physical health of the person taking them. Probiotics are "good" bacteria that are naturally occurring in a variety of sources. These bacteria are compatible with and beneficial to the human body, where similar bacteria is naturally present. Sometimes though, their presence is decreased due to illness, prescription medication, diet, age, or lifestyle. In these cases, probiotic supplements may be prescribed or recommended. Supplements aren't the only way to get probiotics, however. These friendly bacteria are also present in many varieties of yogurt and associated products like smoothies or yogurt-based health drinks, as well as some other fermented or yeast-added foods. When probiotics are ingested, they make their way into the small intestine. There, they flourish and grow, multiplying to maintain a healthy and normal level of friendly bacteria. If a bacterial infection occurs, the probiotic bacteria serves as a defense against severe infection and all of its related health problems. Probiotics can be recommended to aid in healing many different types of ailments and illnesses. While the bacteria themselves aren't a cure for disease, they are often used in conjunction with other treatments. There are other benefits to adding probiotics to your diet, especially if you are or have recently been taking antibiotics to treat a medical condition. Antibiotics, as their name suggests, are designed to kill bacteria. Unfortunately, they can't tell the difference between friendly and harmful bacteria. Probiotics can help to restore the good bacteria in your body. 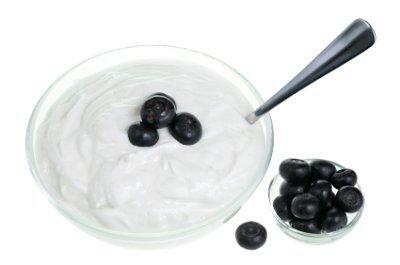 There is currently research being done into the health benefits of probiotics for diabetics. While there are no definitive answers yet, the research looks promising so far. Probiotics are also available as supplements, in capsule, liquid, or powdered form. You can find these supplements at your local health food or general nutrition store. One of the advantages to using probiotics and supplements is that they are not harmful for babies or elderly patients. Since healthy bacteria are naturally occurring both in the human body and in some foods, they can be consumed by almost anyone. Only very young infants or those with serious intestinal issues shouldn't consume probiotics unless advised by a physician. It's always a good idea to check with your doctor before changing your diet or adding supplements, even if you're in overall good health. Research on the effects of probiotics is continually being conducted and updated, and you can keep up to date with the latest findings at the International Scientific Association for Probiotics and Prebiotics.